I remember the first time I hosted a playdate. Emma was two years old, and we invited a friend from music class and her mother to join us for lunch. I labored over what to serve. As the mother of a toddler, I didn't have tons of time to spend in the kitchen preparing an elaborate meal. But on the other hand, I wanted to make a good impression. What did I finally decide on for our lunch? Soup and salad. Sounds really simple and unimpressive, but let me tell you, they loved it! I made a basic tortellini in broth and a simple mixed greens salad. 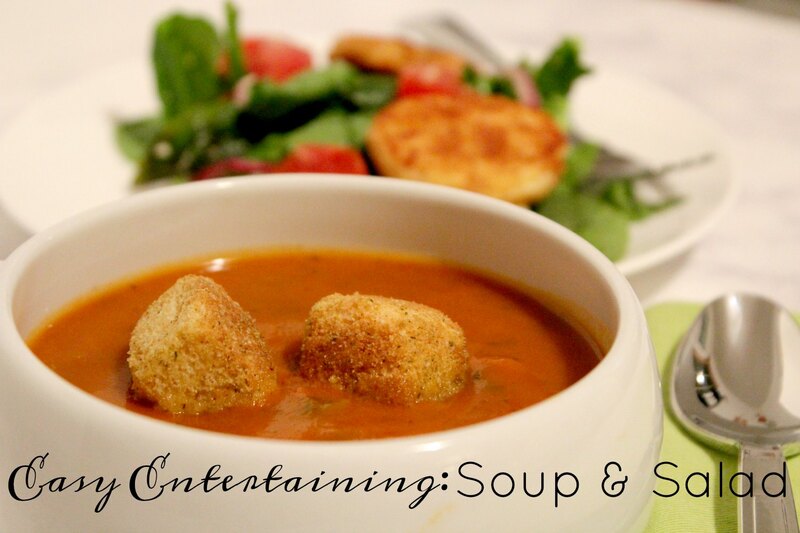 These days, I rely on the simple comfort of soup and salad for lunch time entertaining. It's always a crowd pleaser. For those times when I can't spend all day in the kitchen whipping up a batch from scratch, I head straight for a box of Good Natured Soups from Progresso™. Good Natured Soups are hearty, vegetable-based soups made from the fresh and real ingredients. There are no GMOs, artificial colors and flavors, or preservatives. Good Natured Soups are available in three delicious flavors and are an excellent (and easy!) way to get your daily dose of veggies. 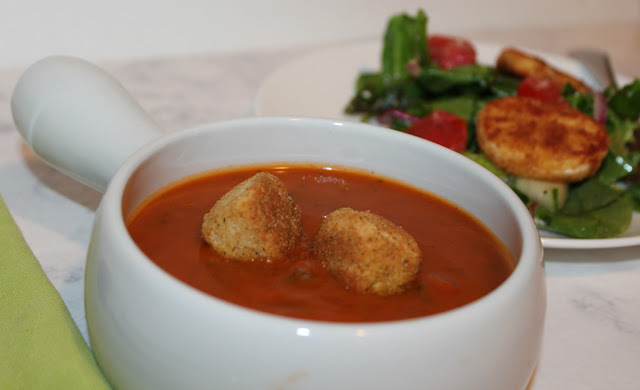 For a recent luncheon, I paired the Hearty Tomato Good Natured Soup with a warm goat cheese salad. The hearty soup paired wonderfully with the light salad and made for a satisfying lunch that was neither too heavy nor too light. A sandwich - you can't go wrong with a grilled cheese. Good Natured Soups are filled with chunks of veggies. The Hearty Tomato variety contains chunks of carrots and celery in every bite. And what could be easier than pouring it into a saucepan and heating it to perfection? 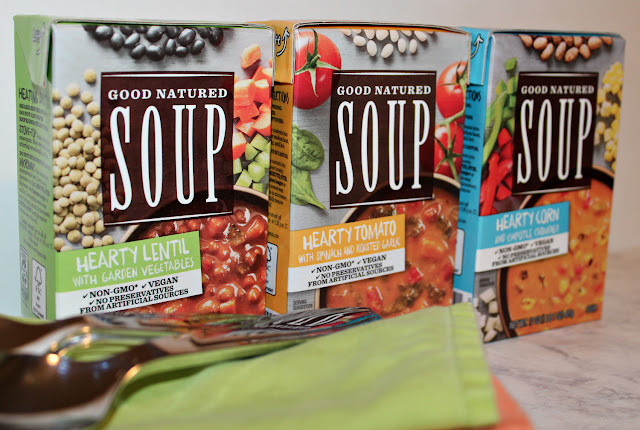 ENTER TO WIN a Good Natured Soup gift basket worth $25! To enter to win, please follow these steps. 1. 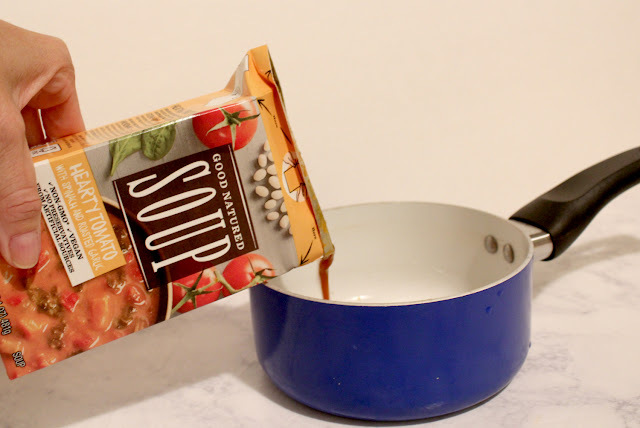 Visit the Good Natured Soup product page, come back to this post, and let me know in the comments which flavor of soup you’re most excited to try and how you get veggies into your daily meals. 2. Contest is open to legal residents of the U.S., who are at least 18 years of age. Winner must have a valid mailing address. One winner will receive a gift basket valued at $25 including Good Natured Soups and other branded items. Giveaway will end on October 31st. Good luck! Don't forget! Download this $1 coupon (click on coupon to download) to start saving. To stay up to date with Good Natured Soups from Progresso™, be sure to like the Facebook page. You can find more information about Good Natured Soups on the Good Natured Soups product page.